As participants in the creation of our built environment (which collectively consumes over 40% of the worlds energy production! ), architects and our clients have a greater role than most in making a positive impact on the current and future well being of our society – our institutions and the people they serve. 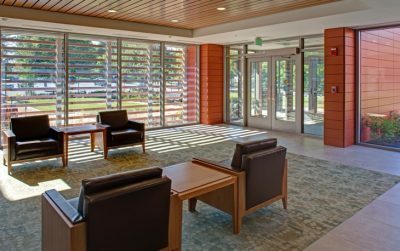 By its very definition, sustainable design and construction can and should be a win-win proposition for our clients and their communities. Done effectively, it results in lower energy consumption and life-cycle cost, less maintenance, and healthier, more productive, and more effective, living and working environments. MCA has proven that if desired, every project presents an opportunity to incorporate some level of sustainable thinking into its life-cycle. Very early in the design process, we confer with our clients to review the project scope from a sustainability standpoint. With proprietary tools such as MCA I GreenTalk™, we work together to identify and incorporate those approaches that have the most impactful results that work within the Owners project parameters. Our responsibility does not end when a project ends – Marshall Craft Associates is determined to leave positive and lasting marks on our ecosystem and in our community. We not only incorporate sustainable practices into our work, but actively assess our own firm’s environmental impact. We must reflect what we create: sustainable spaces that benefit the wellness of people and the environment in which they inhabit. 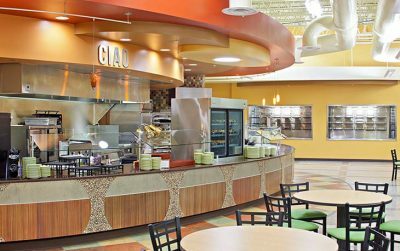 Sustainable design – it’s the Right Thing to do, and we do it well. MCA aims to inspire our community to understand the personal, institutional and community benefits in sustaining our shared environment. We intend to do this by providing leadership through responsible project design, continual improvement of our own office practices and credentials and through active community involvement – all fueled by accurate data and analysis, creativity, and innovation. We hope to leave a legacy of well-designed work that advances our clients institutional missions while contributing to the promotion of the sustainability dialogue in our culture. 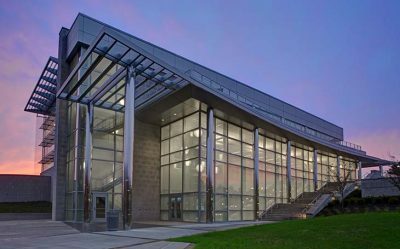 MCA designed the first LEED Platinum Community College facility in the State of Maryland (and one of the first LEED Platinum Higher Education Facilities), with the Chesapeake College Center for Allied Health and Athletics. 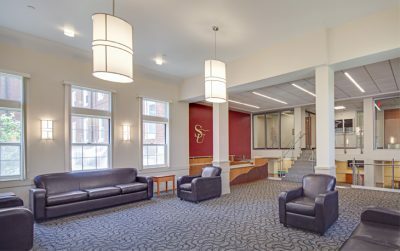 With the renovation of Chincoteague Hall, MCA designed the first LEED Gold Certified renovation for the University of Maryland flagship campus at College Park. 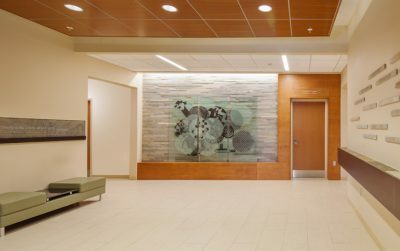 We have also designed the first LEED Gold Certified projects on other campuses, such as the new Engineering & Mathematics Building for Cecil College. 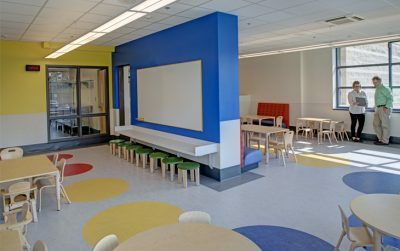 While MCA took a leadership role in the efforts to outline a responsible pathway toward appropriate sustainable design, in all cases these achievements were made possible through a highly collaborative effort involving the Owner and the Construction Management Teams. MCA developed a proprietary in-house tool, MCA I GreenTalk™, to help our design teams communicate, review and document responsible options for our clients wishing to pursue LEED Certification. Updated to complement the latest version of the USGBC LEED Standards, MCA I GreenTalk™ allows our team to easily review alternative LEED strategies for a given project with the client team and our project consultants, compare options, assign research and documentation responsibilities and track progress throughout the design process. It utilizes a simple yet effective “red/amber/green light” approach to signify decisions made or still in progress. 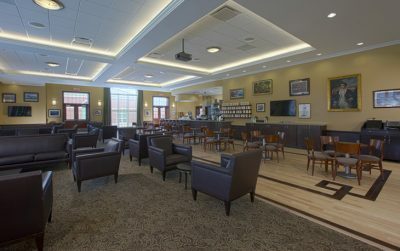 Our growing number of successful LEED certified projects is a direct result of these efforts. Importantly for all clients, MCA I GreenTalk™ also allows us to more easily discuss each project as a potential opportunity to incorporate any level of sustainable design and to inform our clients as to the effectiveness and feasibility of incorporating certain sustainable design strategies into their project, regardless of the desire to achieve formal LEED Certification. MCA’s hard working Sustainable Design & Practice Committee is charged with executing MCA’s Mission Statement on Sustainability. They work to improve the sustainable practices and design tools we have available in-house, research best-practice approaches and new materials, educate staff (over 1/3 of our staff are LEED Acreddited), assist with the pursuit of staff accreditation, develop community support activities and work to improve our workplace environmental footprint. MCA’s Team enjoys participating in sustainable community activities such as our annual Stream Clean to clean trash from the Jones Falls tributaries. 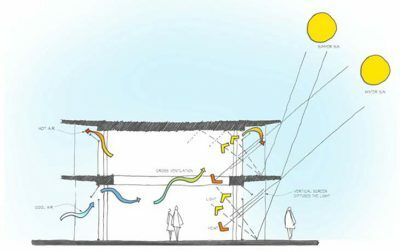 Office volunteers are currently brainstorming and computer modeling ideas for a prototype “stream filter” design for the Millrace flowing under our own office, to see of there is a viable way to passively intercept trash flowing from stormwater systems into the watershed. We have for many years had an aggressive recycling program, and contribute surplus building sample material stop a local non-profit that recycles building materials. We continue to look for meaningful ways to support our community through sustainable means. 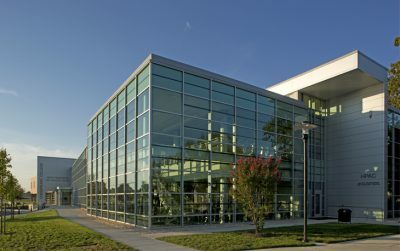 MCA congratulates Chesapeake College on achieving LEED Platinum certification for the Health Professions and Athletics Center. A river runs through our office – literally. 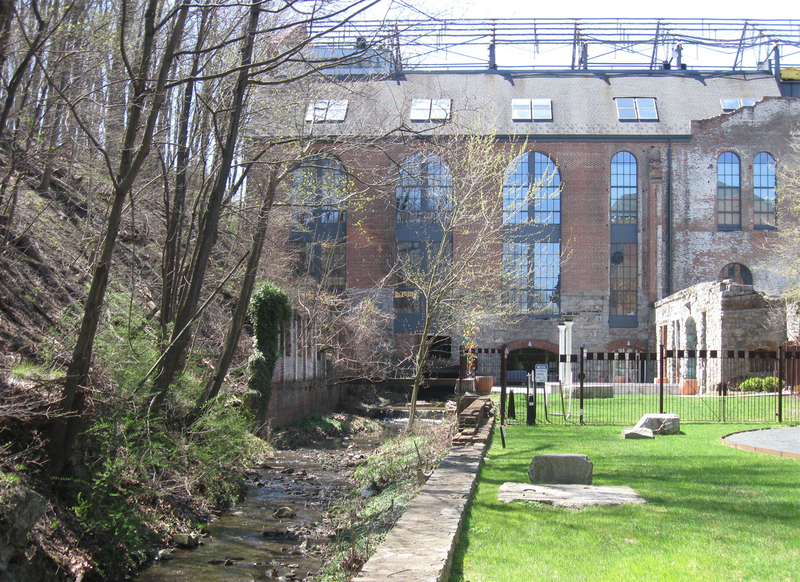 MCA’s Baltimore office is located in a former industrial mill, and the old millrace stream continues to flow beneath our building as it has since the 1800’s. In fact, MCA’s space was designed to take advantage of the views and sound provided by this natural amenity. The stream connects to the Jones Falls, which eventually flows into the Chesapeake Bay. MCA is invested in maintaining the health of this fragile ecosystem. The biggest impact MCA can make on the millrace is to remove trash that enters upstream. Our employees enjoy participating in the annual Stream Clean organized by our community. We are also currently designing a prototype “stream filter” that we hope to eventually deploy to passively collect debris. These efforts will improve the condition of Maryland’s waterways and enhance the natural beauty of our local landscape.